During the 17th century, the Holy Church trained and employed Slayers to eliminate preternaturals. They were often provided with an intermediary who served as a combination of servant and sparring partner. 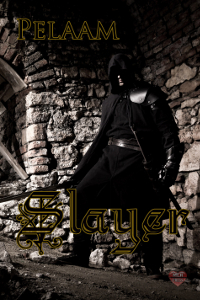 Slayer Alessandro and his lover, JosÃ©, have devoted over two decades to the cause. During that time, Alessandro has learned that most non-humans just want to be left alone to live in peaceâ€”something he dreams of himself. When a preternatural threat arises close to home, something previously unheard of, Alessandro decides this mission will be his last. Unfortunately for Alessandro, someone else has the same idea.